No wagon road existed, the camino being a trail. surface water flow, oak trees and steep hillsides. 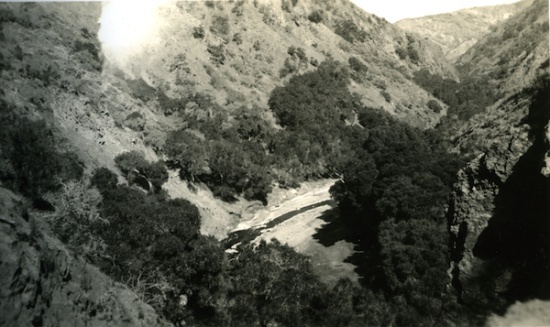 Cañada del Puerto at point half way between Main Ranch and Prisoners' Harbor where it commences to widen out, showing dry wash, surface flow, oaks and nature of the hills. 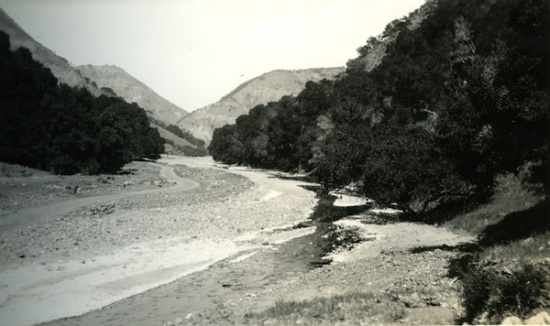 Cañada del Puerto, Santa Cruz Island, main watershed canyon draining from the Central Valley to Prisoners' Harbor. 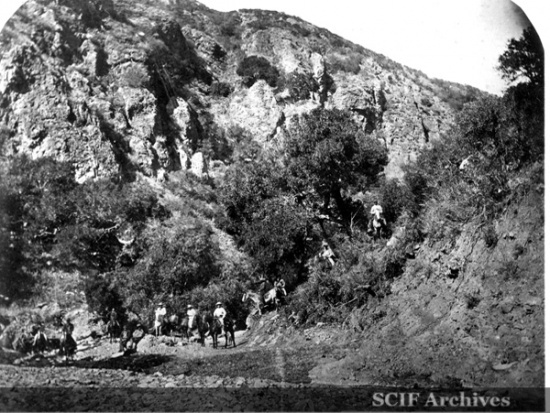 This canyon serves as the main access road from the harbor to the Main Ranch, a distance of about three miles. This page was last edited on 24 November 2015, at 22:23.